Abbott Septic Service provides comprehensive, competitively priced septic tank repair services in Escondido, San Marcos, Fallbrook, Ramona, El Cajon, Alpine, and all other communities throughout San Diego County. Our septic tank professionals have an average of 20 years of industry experience, and are experts in all aspects of septic tank repair, installation, and maintenance. Whether you've been told that there's an issue with your septic tank or you suspect that something isn't right, we'll make sure that we correctly identify the problem and provide the best possible solution to meet your needs and save you money. 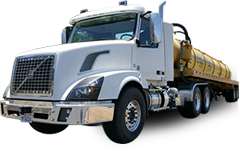 As a testament to our honesty, expertise, skilled workmanship, fair prices, and reliable results, our locally owned and operated septic tank company has served thousands of satisfied clients and receives about 60-70% of our business from returning clients and referrals. There are many early warning signs that your septic tank is in trouble or in danger of failing. The most obvious signs are odors, wet spots, water surfacing in the yard, and plumbing issues, such as backups and slow drainage. While these are all common early indicators that something is wrong with your septic system, the only way to be positive that the issue is in fact with your tank -- and not with your indoor plumbing, for example -- is to physically dig it up and inspect it. Septic Tank Deck Repair - Over time, sulfuric acid can eat away the concrete deck at the top of a tank. Once the concrete's sand and rock are no longer holding together, the tank is in serious danger of caving in. If the tank's floor and side walls are still solid, we can cast a new deck on top and perform some bridge work to save the tank. However, if the concrete is beyond repair, then the entire tank may need to be replaced. Septic Tank Riser & Lid Repair/Replacement - If you have a broken lid, we carry replacement lids for a wide variety of concrete, fiberglass, and plastic septic tanks. Additionally, if the septic tank's lid is underground, we can add a riser to make it more accessible for pumping and cleaning. 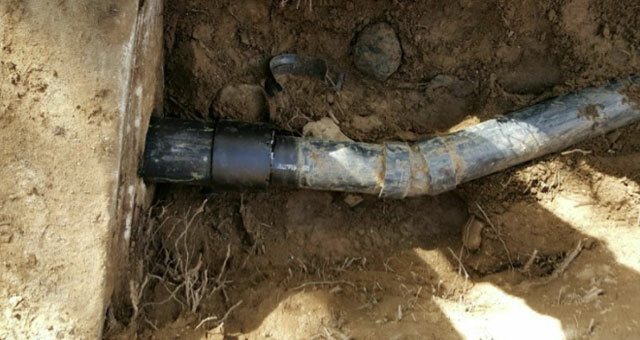 Seepage Pit & Leach Field Repairs - We can repair, replace, and add leach lines, including rock and pipe, infiltrator chambers, and seepage pits, to address a broad range of needs. For example, if a leach field or leaching pit has become sludged up or clogged by tree roots, we can put in new leach lines to restore its functionality. Other Septic Tank Repairs - We can also service and repair baffles, inlet fittings, outlet fittings, pipes, and effluent filters. In all cases, our septic tank repairs are performed to the highest of industry standards, are code compliant, and backed by a one-year warranty. Only after we've exhausted all repair options will we recommend septic tank replacement. Call us today for the best value in septic tank repairs in San Diego County. We answer our phones 24 hours a day, 7 days a week. Septic tank service can typically be scheduled within a few days and repairs are completed as efficiently as possible to minimize downtime. If you're not sure whether you need a plumber or a septic service provider, we'll do our best to offer guidance over the phone; however, sometimes the issue can only be diagnosed through an on-site inspection.